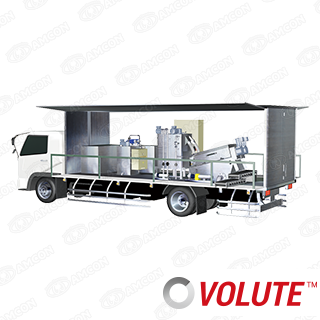 Sludge Dewatering Press & Thickener | AMCON is the solution for sludge dewatering press and treatment. 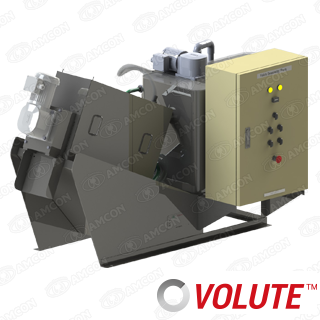 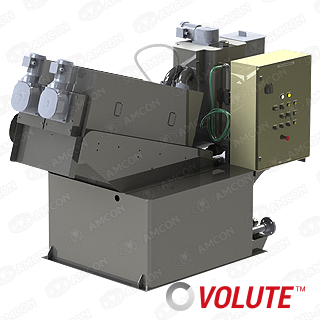 In 1991, AMCON unveiled VOLUTETM, which brought epoch-making innovations to sludge dewatering technology. 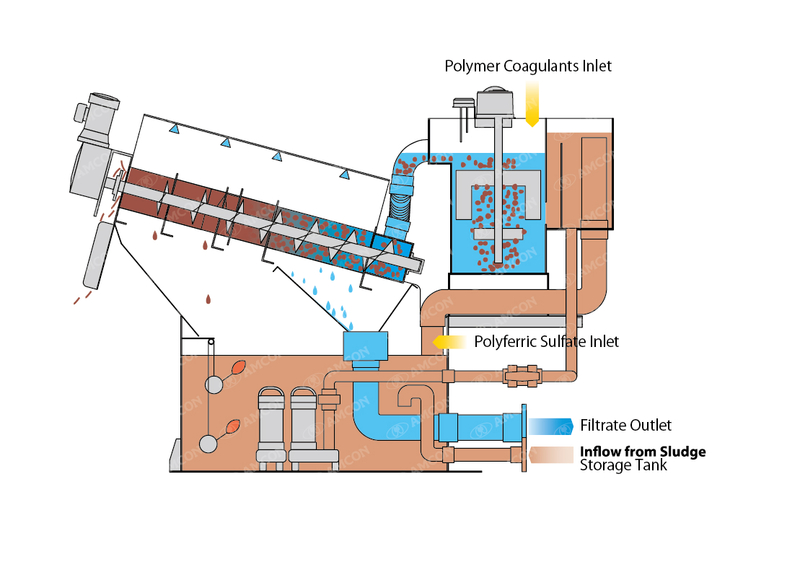 The performance of dewatering equipment is enhanced by removing clogging which could considerably block the discharge of the filtered liquid. 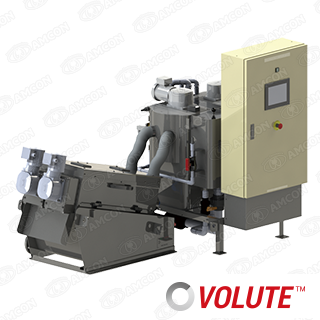 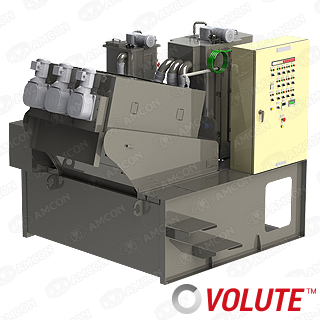 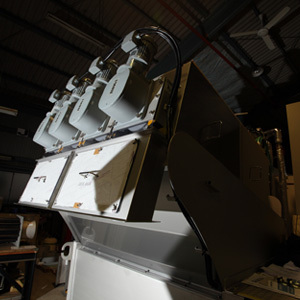 AMCON's dewatering press is equipped with unique VOLUTETM technology, which allows dewatering sludge while automatically self-cleaning the filter mesh. 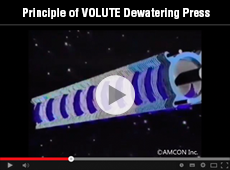 This enables stable and constant dewatering without depending on flush water for clogging prevention.